We do love our region’s musicians, but we love its ink-stained wretches just as much and sometimes more. Not wanting to overlook the written word in our roundup, we asked a few of our favorite writers and literary types to tell us about a book by a Southern writer that held their attention in 2013. It may not be fair to all the currently working and wonderful authors throughout the South, but the book published in 2013 by a Southern writer that meant the most to me was “A Prayer Journal” by Flannery O'Connor. While this little book was composed in the 1940s, when the future author of “Wise Blood” and “A Good Man Is Hard to Find” was a 20-year-old student at the University of Iowa, it came to light only recently when it was found among her papers by William Sessions, her friend and now literary executor, who is working on an O'Connor biography. Having read all of her previously published fiction, essays and letters, I think this journal provides the most intimate window yet into her creative genius and the intentions she had for her work, which seems, if possible, even more magnificent to me, having now seen how what she was setting herself up for at the beginning. Let me start with a disclaimer: Sheri Joseph and I are in a writing group together, meaning we critique each other’s novels in their early stages. In some ways the privilege of having read “Where You Can Find Me” in nascent form makes the finished novel all the more remarkable, because I saw the arduous work and painstaking research that went into it. The end result is fantastic. The book begins with the homecoming of the Vincent family’s abducted teenaged son, Caleb, who was missing for three years and presumed dead by everyone but his mother, Marlene. In an attempt to start fresh, Marlene moves the whole family to the Costa Rican cloud forest, but even the dense clouds cannot obscure the ghosts (real and imagined) that follow. This is an exquisitely crafted book, yet I found myself racing through the gorgeous sentences wanting to know how everything works out. “Where You Can Find Me” is tough and unflinching, but ultimately offers a vision of healing and resiliency. I haven't been as good lately at keeping up with the new hot books, but in 2013 I finally got around to reading William Gay, the Tennessee author who died early in 2012. "Provinces of Night," his second novel, tells the story of the three sons of a wandering, banjo-playing, fight-picking ladies man, and what happens when he returns to the family he abandoned years ago (and after a good deal of bloodshed). It's vaguely set in that mid-20th century time period that, when also placed in a small town, is what most people tend to mean when they call something "Southern literature." It's also wonderful, with achingly beautiful descriptions and a wry humor that never strays too far from the surface, despite the darkness of its themes. If, like me, you're an admirer of Cormac McCarthy, Charles Frazier and Ron Rash, then Gay's work is right in your wheelhouse. Pay him a visit. Actor Louis Gossett Jr. read an audiobook of "12 Years A Slave" that made it to stores — and my car — in 2013. As I traveled all over the South on book tour (12 weeks a slave?) for my new novel, “Pickett's Charge,” this powerful work from 1853 became a pungent soundtrack for my journeying. 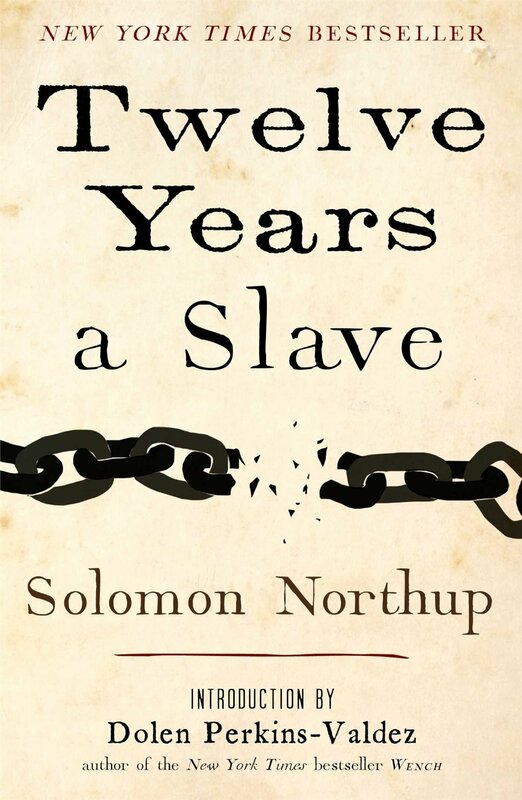 The memoir by Solomon Northup recounts a terrible and bitter tale — tricksters take an educated black New Yorker from freedom to be sold in the slave markets of the nation's capital, Washington, D.C., and then cruelly abused on a plantation in Louisiana. This book's predecessor, "Uncle Tom's Cabin," struck the flints that helped ignite the Civil War. I would hope that this book now, more than 160 years after publication, helps us trample out the last glowing coals of belief that The Lost Cause seems righteous and worthy. Good times here in the South are not forgotten; that's true and right. We must also look in the deep, dark, truthful mirror and not forget the bad times.